Description: Since 2006, author John Michael Greer has been sharing his perspectives on the fate of industrial civilization and more on his weekly blog, The Archdruid Report. His writing, both highly engaging and rooted in a depth of broad scholarship, has earned him thousands of readers who want to understand the trajectory our world has taken. Topics like energy, resource depletion, and the ideas behind some of our culture's cherished beliefs have been explored. 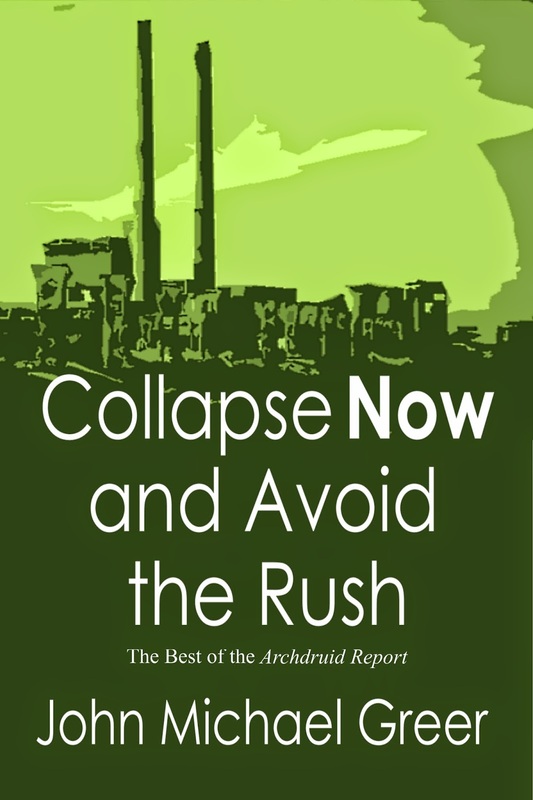 Collapse Now and Avoid the Rush offers a selection of Greer's best essays. Support great sci-fi and fantasy. Get the latest issue of MYTHIC. All content. Copyright © 2009-2019 Founders House Publishing LLC. Simple theme. Powered by Blogger.